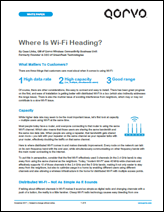 Distributed Wi-Fi, also known as Wi-Fi Mesh, is the next indoor infrastructure for the Internet of Things (IoT). This architecture is based on a "pod in every room," allowing seamless Wi-Fi coverage, excellent range, high data rate and capacity. 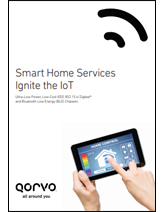 This pod also carries IoT technologies for today and tomorrow, like Zigbee, Thread or Bluetooth, leveraging Wi-Fi backhaul and allowing multiple smart home use cases, for future-proof solutions. Pods can also contain integrated audio, enabling voice interaction with the Internet for seamless indoor access. 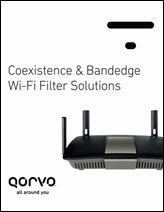 At Qorvo, we make the Home Smarter. Mesh Networks allow multiple Smart Home Applications: home monitoring, access and lighting control, fire / gas / leak detection, energy-efficiency, HVAC monitoring and control and security. Our ultra lower-power future proof IoT Controllers, including multi-protocol SoC and transceiver solutions for Bluetooth, Thread and Zigbee, enable the radio technology in many of the latest smart home and IoT solutions. 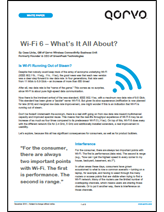 A portfolio of leading products for Wi-Fi. Qorvo continuously develops new products, following newest standards, including Customer Premises Equipment (CPE) and enterprise systems. We capitalize on our Front-End differentiators, reducing power consumption and interference resolution while maintaining high throughput and range. We create the most efficient solutions providing reliable coverage in smallest form factor. Today, our products prepare the future with 802.11ax features. 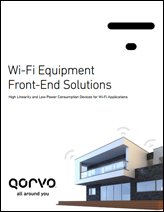 Our portfolio supports Wi-Fi Alliance EasyMesh™ Program.